Mosquitoes are known spread certain diseases that prove deadly for the human population. Diseases such as dengue, West Nile and chikungunya are spread by mosquitoes and transfer the viruses through blood. Controlling mosquito populations have always been a potential solution in trying to limit the spread of certain mosquito-borne diseases. 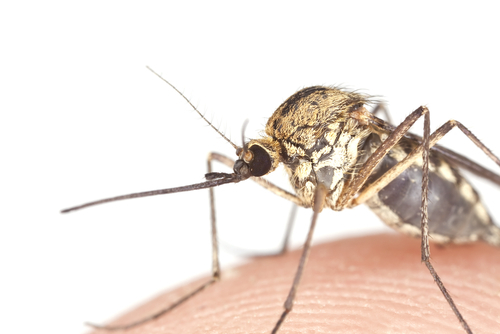 Researchers have recently announced the successful outdoor study of controlling disease-bearing mosquito populations using genetically engineered mosquitoes. Scientists at Oxitec and the Gorgas Institute in Panama conducted an outdoor pilot study using Oxitec OX513A, a genetically engineered strain of the Aedes aegypti mosquito, which is a known carrier of virus strains that cause dengue and chikungunya. The study was conducted in Nuevo Chorrillo, a residential suburb in the Arraijan District west of Panama City. The Oxitec OX513A mosquitoes were released throughout the study area on a regular basis. The genetically engineered male mosquitoes do not bite or transmit disease. But when the female Aedes aegypti mosquitoes start to mate with the GE mosquitoes, their offspring died before reaching adulthood. Over the course of six months, the OX513A mosquitoes were able to reduce the mosquito population by up to 90 percent relative to other comparison areas. The study indicates that using GE mosquitoes may be able to reduce the mosquito populations responsible for the spread of dengue and chikungunya. According to the World Health Organization, dengue affects from 50 to 100 million people all over the world on a yearly basis. Chikungunya, on the other hand, is a relatively new disease that was known to reach the Americas last 2013, when the first local transmission was identified somewhere in the Caribbean. Estimates show that there have been around one million cases of the disease reported since then. Through mosquito population control using GE mosquitoes like the OX513A strain, scientists believe that they may be able to limit the spread of the said diseases, even hoping to eradicate them as potential threats in the future.